Georgia and Iran are the countries where wine was first made, as far back as 6000 BC. There is archaeological evidence, in the form of clay cups containing resin, that wine was first produced in Europe in Greece around 1,500 years afterward. 17th century Europe saw the introduction of wine in bottles, with wooden plugs soaked in wax or oil to be used as stoppers. It was at this point that wine racks began to be used, as the upper classes also discovered the benefits of having wine cellars in their homes. By the Middle Ages, wine had become a common drink amongst all of Southern Europe’s social classes. This was not the case in the north, however, where there were not as many vines, if any, meaning that wine was imported purely for the enjoyment of the upper classes. Wine has since become popular right around the world. Where is a wine rack used? The kitchen is where you would normally expect to find a wine rack. Nonetheless, they can also be found in such places as the dining room or a wine cellar. The purpose of a wine rack is to store bottles of wine. We sell a wide range of wine racks at Furniture UK, including those that have drawers, cupboards and other additional storage features. 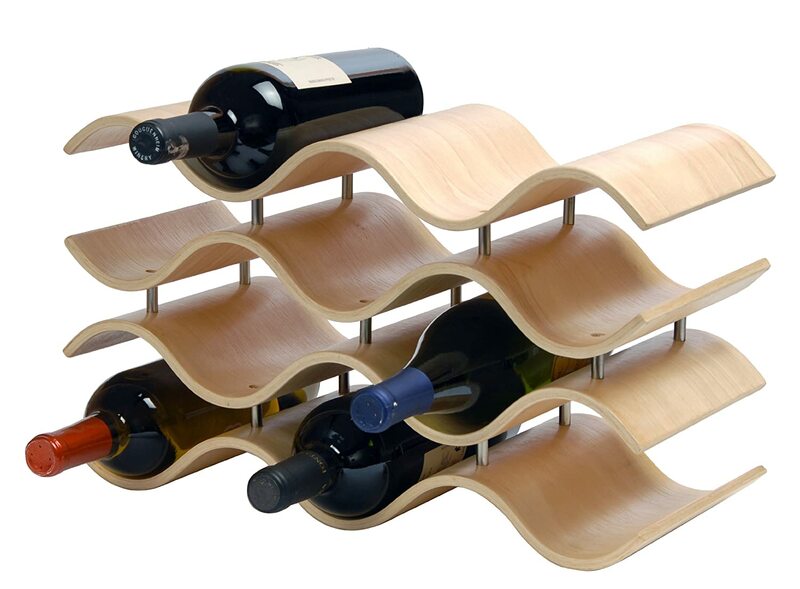 Many wine racks can also be used as small tables. There is usually space on top of one of our wine racks to exhibit ornaments, photographs, and other items. Particularly if you like to keep a lot of bottles of wine in your home, a wine rack is the most efficient way of storing them. We also sell wine racks that have cupboards or drawers, which can contain extra items for which there might not be enough space elsewhere in the dining room or kitchen, such as utensils and cutlery. You may also appreciate the touch of class that having a well-crafted wine rack displaying several bottles of wine brings to your dining room or kitchen. The storage capacity of a wine rack is normally somewhere between 15 and 32 bottles. While some may function purely as a wine rack, there are others that provide additional storage options such as cupboards and drawers. Many wine racks also have space on top of them to display several items, like a table. Where you want your wine rack to be positioned. You should decide on a room and then look for a wine rack that fits in with its wood color and style. The number of bottles of wine that you would like it to hold. We sell wine racks with a range of different capacities. You should keep your wine rack in the best possible condition by cleaning and protecting it with decent quality beeswax. You will also want to avoid exposing it to heat that might cause it to shrink, therefore loosening its veneers and joints. We, therefore, recommend that you avoid exposing it to strong sunlight or positioning it near, or in front of, a radiator.